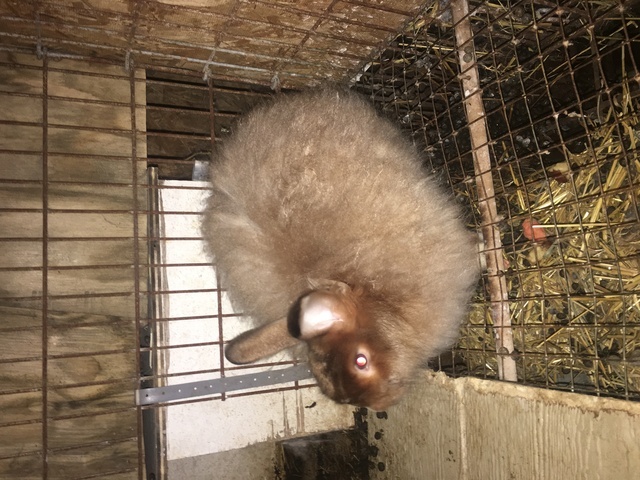 I have been raising alpaca's and angora rabbits for over 20 years now. 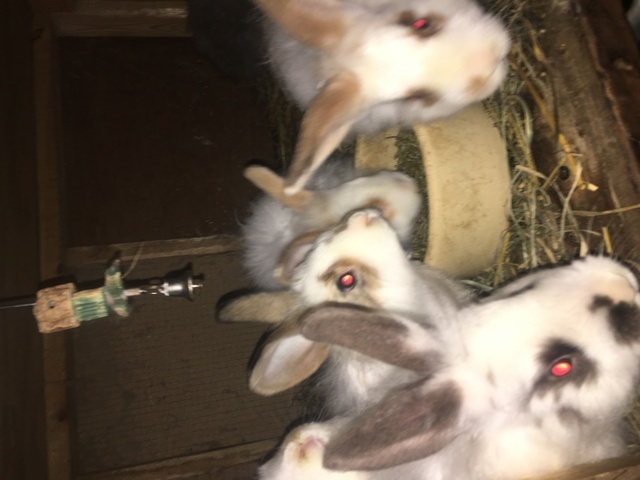 looking to sell all my herd as I am reaching an age I can no longer properly care for them on my own. They all have perfect confirmation from head to toe and have excellent crimp and density to build on. Make me an offer ?? Asking $12,000 for all including Eclipse 2011 trailer with divider. Or $10,000 for all my alpacas. Sammy is a True Black female who has won blue in halter, as well as the breeders best. She has an awesome soft fineness to her fleece the judge was impressed at age 4 at the sheen and fineness of her fleece. Her Sire took several 1st for his fineness in fleece. If you farm is looking to improve their blacks she is the one! One Med Silver Grey male 5 years old Sir Anthony ( top photo). He took 1st in halter and breeders best. Handles easily beautiful animal exceptional fiber. Light silver grey Princess Leia she has very dense fiber awesome crimp and is precious. 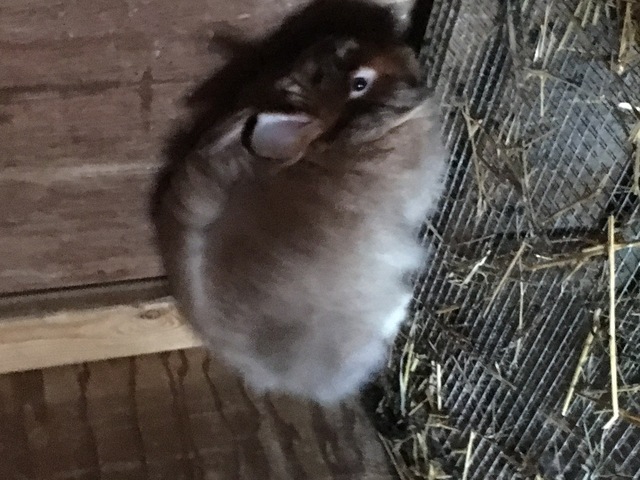 Her Sir has won several blue and her mom has taken 1st in fleece only time shown. Either of these lovely animals would make a great addition to your farm. Pacia is his mom in last photo has never been shown has produced 3 males 1-med brown, 1-beige and Sir Charles Light Fawn. It's time for a girl! Very gentle lady produces lots of milk, best of moms. The purchase price (Cash), shall be paid in full in U.S. Currency before buyers may take possession of ARI Certificate. Buyers are entitled to possession of the animal after the Cash deposit is paid, and Full Mortality Insurance is put into effect. 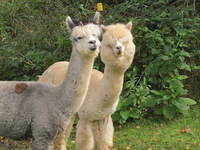 I am selling all but two of my alpacas. Make me an offer I can't refuse. I have 4 girls true black, light fawn, light silver grey and brown. 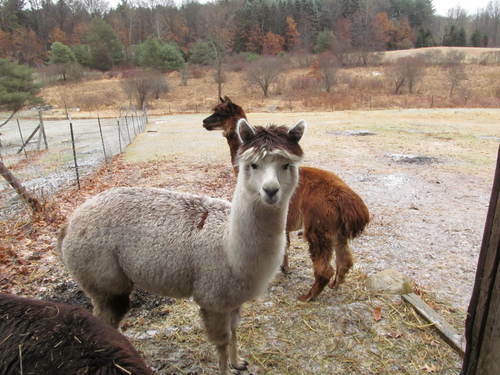 3 boys 2 gelded light fawn , med silver grey and a brown cria from Brooke my brown female. All are excellent confirmation, great handle and crimp (bundles). Some have been shown some not. I need to sell them for health reasons asking $12,000 for all alpacas ?? and trailer.